This is a post, a part of a series, to commemorate the Pope’s visit to the Philippines on January 15-19 2015. The highlight of the Pope’s visit in the Philippines was his trip to Tacloban, otherwise known as ground-zero of the Haiyan devastation. On the day the Pope visited Tacloban, another storm hit the city. Interestingly, the storm was named locally as “Amang”, which translates to Father in English. The storm cut the Pope’s Tacloban visit short, killed a woman volunteer, and caused a plane carrying government officials to skid off the runway. 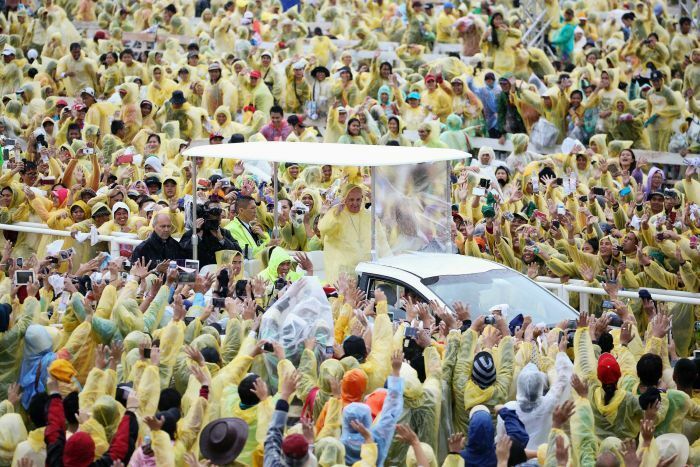 The Pope’s visit gives residents of Tacloban hope and inspiration as they continue to rebuild their city. It’s January… time for the “January effect”. Investors sell off their stocks in December to create losses to offset some of their gains for the year. They do this to reduce taxes. Investors start buying again in January which leads to a rally. During the holidays, people are busy with holiday-related activities such as shopping, partying, vacationing, etc. People also use most of their available funds for holiday spending. In January, people may be more focused on the market. Those who experienced spending “fatigue” may use their available funds to invest instead when January comes. People who “promise” to themselves that they will start investing will likely do so at the start of the year. After all, “New Year’s resolutions” are executed in January. This is the time when people start doing responsible activities such as exercising, dieting, taking up a new hobby, organizing stuff… and investing. Investors tend to be optimistic at the start of the year. This optimism leads to a rally. Start watching the markets, and you might just catch a rally. Posted on January 6, 2015 January 6, 2015 Categories Investment, Market PhenomenonTags Investors, January, market, optimism, stock rally1 Comment on It’s January… time for the “January effect”.